From the forest the best bamboo canes...and more!!! 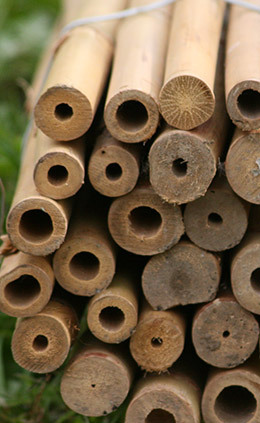 Barale Bamboo has been in operation since 1989, we offer first class quality bamboo canes. These canes are produced by our companies in the Far East, quality control and all the processes are carried out by local experts under our direct supervision. Our imported products, bamboo, are the ideal material for: - fencing, barriers, enclosures, screening, and shade; it gives protection from all kinds of weather conditions, sun, wind, rain. All our products are aesthetically pleasing and therefore can be used as a complement your outdoor furnishing also can be used as decorative ornaments. We will provide you with all information that you may need regarding any possible treatment that may enhance our product, in respect to their durability and appearance. We select and offer the best products for all your needs, offering QUALITY, COMPETENCE in dealing with your enquires, PROMPT DELIVERY, all this still within our competitive price range.